The collection at Columbia was donated by Mr. Weng himself, and includes many original and master elements for his films, as well as prints, outtakes, and miscellaneous footage. The films include a series on Chinese cities, filmed in glorious Kodachrome in the mid-1940s, a series on Chinese arts and crafts from the 1950s, a series on Chinese history from the 1970s, and a filmed Buddhist service at the Cathedral of the Pines in New Hampshire. The Weng Wango Collection was one of my first projects at Columbia, when I started working in the Preservation and Digital Conversion Division during the summer of 2016 as Digitization and Preservation Project Manager. Given my background in media preservation, I was asked to conduct a survey of the collection, which had been acquired by Starr several years earlier. The library already had a basic inventory of the collection, which consists of 739 16mm film elements, as well as a few 35mm film elements and ¼” open-reel audiotapes. My job was to gather further information on the film elements, assess the condition of the materials, and recommend future actions. As I discovered, the collection was in good condition, for the most part. Since being acquired by Columbia, the films had been stored at the offsite ReCAP facility, which provides a cool, dry environment that is appropriate for storing film. There were, however, some issues that needed to be resolved. 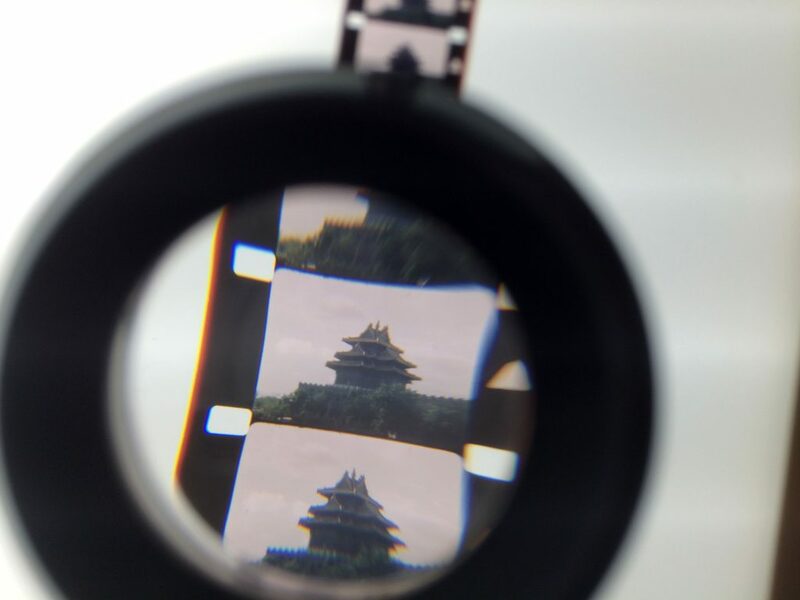 Testing with acid detection (A-D) strips revealed that some of the films were suffering from vinegar syndrome, a form of deterioration that affects cellulose acetate films. In addition, many of the films were stored in inadequate housings – rusty and dented metal film cans or deteriorating cardboard boxes, for example. As a result of the above findings, my primary recommendation was that the films be rehoused. The films are being transferred to new, archival-quality, polypropylene (inert plastic) film cans, along with all information from the original housings, such as titles, names, and dates. Once rehoused, the films will be returned to Columbia’s offsite storage facility. 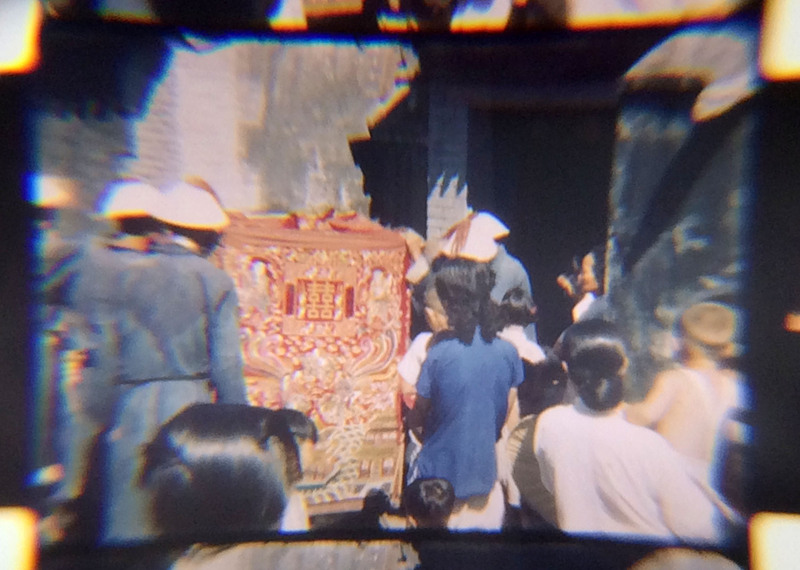 Films from the Weng Wango Collection, before and after rehousing. The survey also set priorities for digitization, should funding become available in the future. Highest priority was given to items most at risk of deterioration and to master and original materials. These actions will ensure that the films are preserved and accessible to researchers well into the future. Thanks to Jim Cheng, Director of the Starr Library, and Sarah Elman, Head of Technical Services at Starr, for their help with this project and for providing information on Weng Wango and his work. This entry was posted in Film Preservation on April 28, 2017 by Jonah Volk.